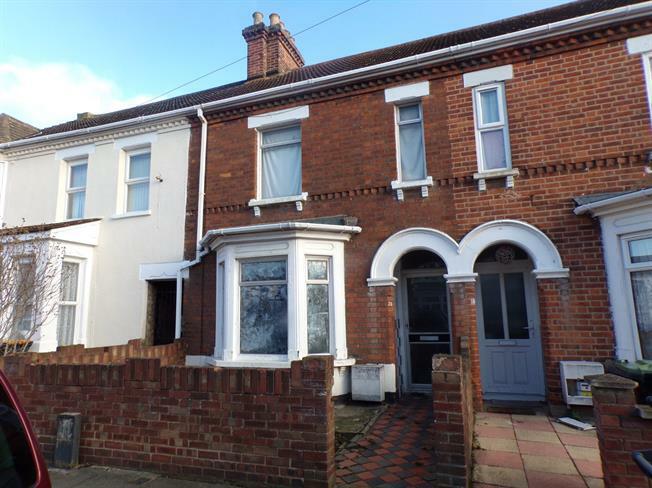 3 Bedroom Terraced House For Sale in Bedford for Asking Price £180,000. A three bedroom bay fronted terrace home which is in need of total refurbishment and would be an ideal first time buy or project. There are separate reception rooms, kitchen, and a downstairs bathroom. There are three double bedroom upstairs and is available with the added bonus of no upper chain. Stairs to first floor and doors to lounge and dining room. Single glazed aluminium bay window facing the front. Single glazed aluminium window facing the rear. Single glazed wood window facing the side. Single sink. Single glazed wood window facing the side. Low level WC, panelled bath, pedestal sink. Single glazed aluminium window facing the front. Laid to lawn area. Side access gate to front. Small courtyard style front garden.